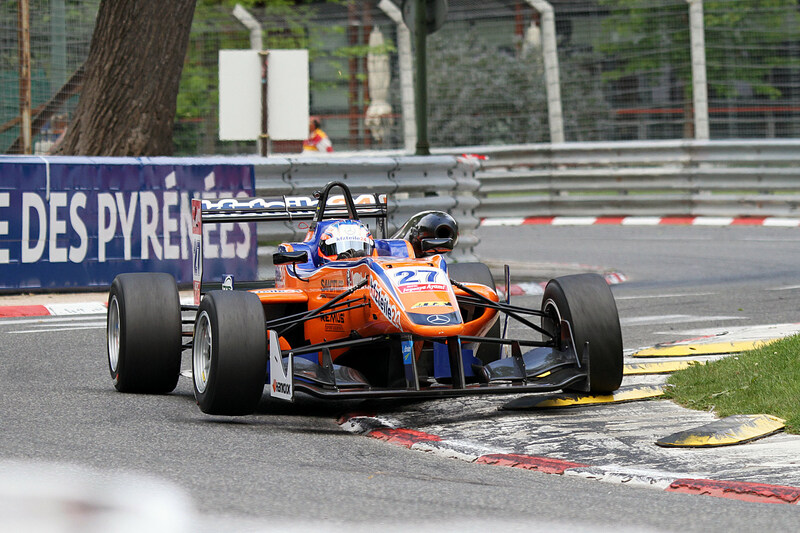 Felix got the 2014 edition of the Grand Prix de Pau off to a promising start by going third fastest in Friday free practice on the streets of the French city. The session got underway 15 minutes behind schedule following earlier incidents in the support categories, and was further delayed by a red-flag stoppage after Michele Beretta crashed at Pont Oscar 10 minutes from the end. Felix wound up 0.262s off the ultimate pace set by home favourite Esteban Ocon, who stopped the clock in 1m10.688s to head Max Verstappen in second. Felix completed eight laps less than Ocon, who appeared eager to accumulate mileage and racked up a full 44 laps. Behind the top three, Felix’s Mücke Motorsport team-mate Lucas Auer went fourth, enjoying a gap of over two tenths to fifth-placed Jake Dennis. 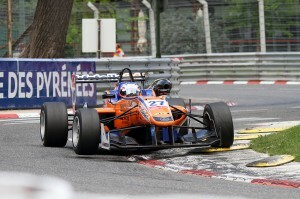 Roy Nissany and Antonio Fuoco were among others to join Beretta into the Pau barriers, with both drivers having to miss substantial parts of the session with damaged cars. The first qualifying session of the weekend takes place at 16.40 local time.